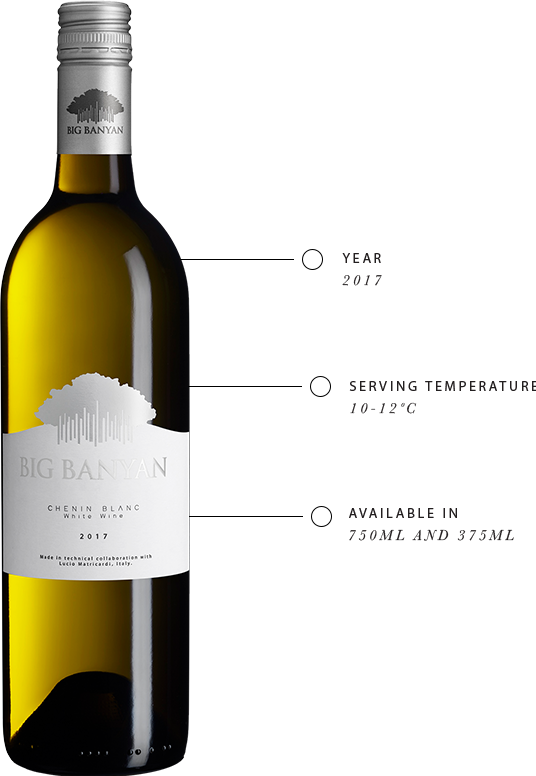 A zesty, easy-going wine, the Big Banyan Chenin Blanc pairs well with anything and any mood. This white wine is laced with the delicate fruity aroma of yellow apple, white lemon and peach, tossed up with light, spicy notes of thyme and coriander. Golden hued, like whiskers of straw, our Chenin Blanc reveals its secret side when held to light. You can catch tiny specks of green hidden away in there. Dry, fresh and fruity, the Chenin Blanc has a harmony of flavours.